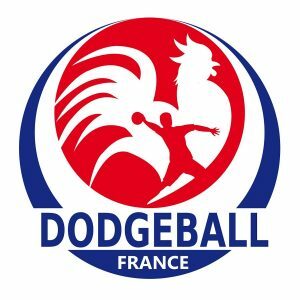 Back on continental Europe it was time for France to host the EDBF Dodgeball European Championships for the first time. 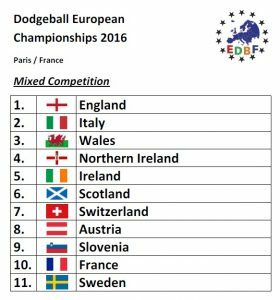 After they participated since 2012, the Dodgeball world was excited to gather in one of Dodgeball Europe’s most established countries. 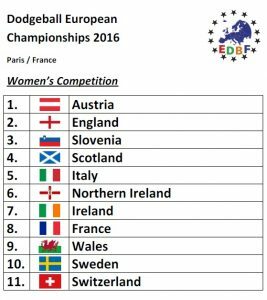 36 Teams, 14 Countries, and 3 divisions with the most countries participating since the beginning marked fabulous records. Germany made their first ever appearance and Switzerland returned after 2 years of absence. It was also the year, Austria won their first title as they won the women’s competition. 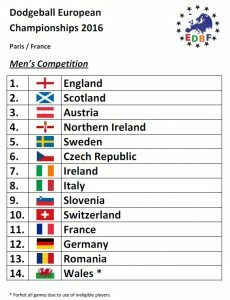 England defended their titles in the men’s and mixed competition yet again.